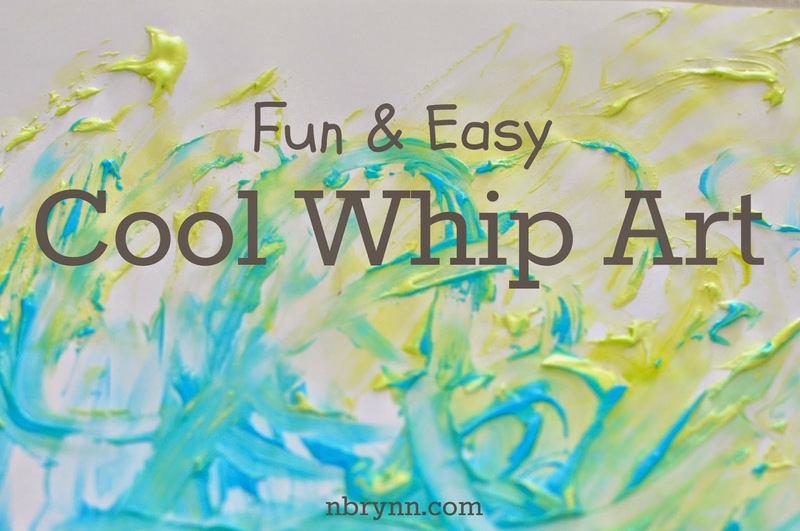 I've got a really fun, easy activity for you to try with your kids this week: Cool Whip Art! Fair warning: If you are allergic to mess, this may not be the project for you. 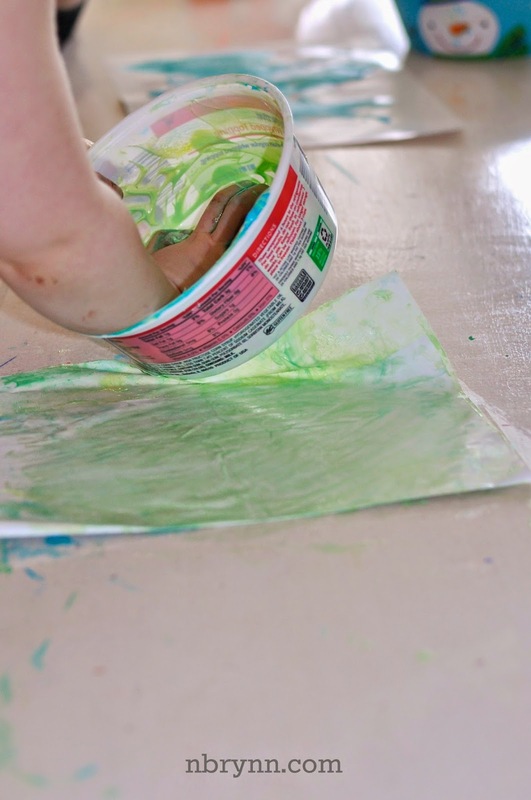 However, if you can push yourself past a normal comfort zone of cleanliness and order, I think you'll find you and your kids really enjoying this sensory painting activity. 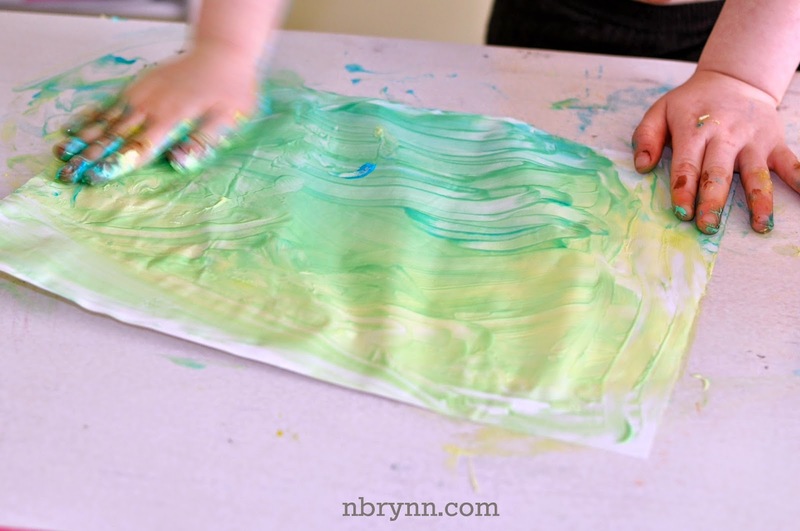 All you'll need is a tub of Cool Whip, food coloring and paper (I used finger painting paper, since it has a smoother finish and is meant to absorb extra liquid without disintegrating). Okay, actually you'll also need lots and lots of wet wipes or a nice bath, but that'll come later! Our Cool Whip was almost half gone when we started this project, which was probably better since the kids ended up consuming a large portion of what they were given to paint with. 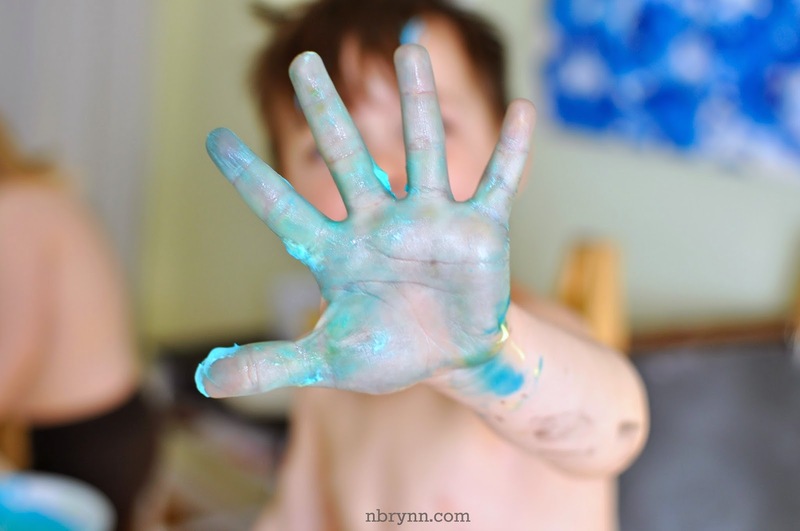 No fear, eating what you are painting with is part of the fun! I divided our Cool Whip into two bowls and let the kids each choose which coloring they wanted to use for their "paint." 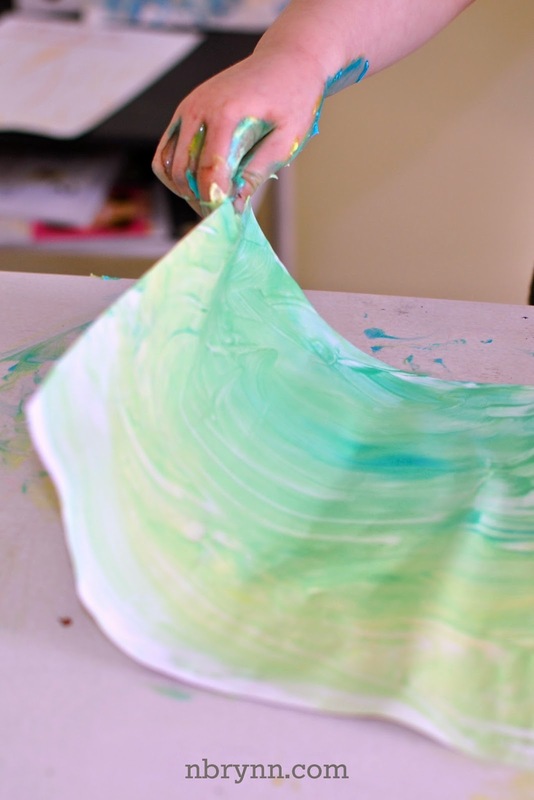 My kids enjoyed mixing the food coloring in themselves, which allowed them to see how the coloring changed the Cool Whip. Then, we just dipped our hands in and went to town! My kids each painted a few pieces before resorting to finger licking and bowl scraping. Hope this entertains you and your family as much as it did ours!